These custom wine cellar doors were made in several steps. 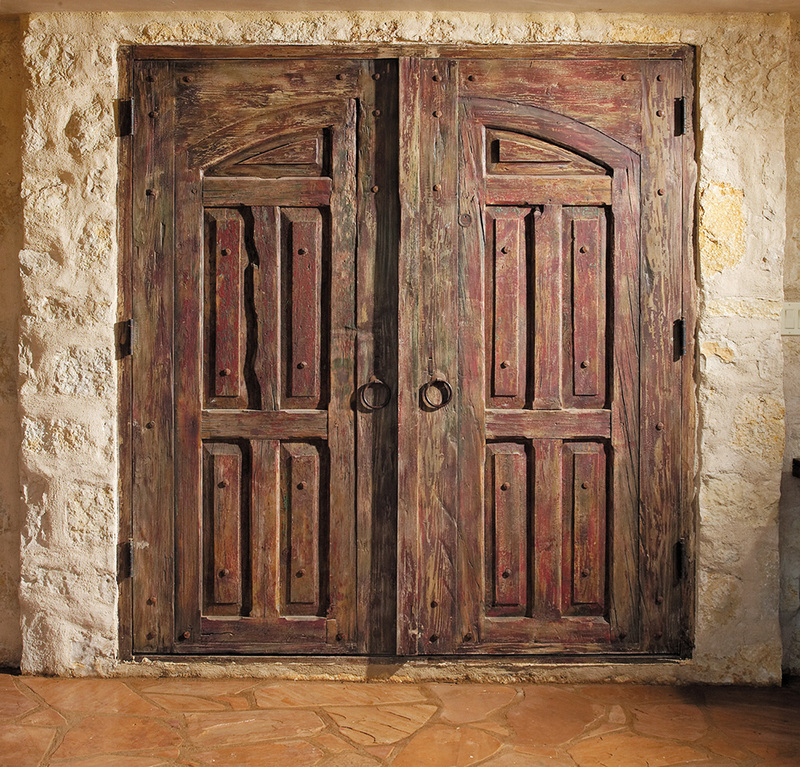 A pair of antique Mexican doors were made into arched panels that were then set into square doors made of salvaged lumber. The original red finish of the antique doors was preserved and enhanced in the completed doors.